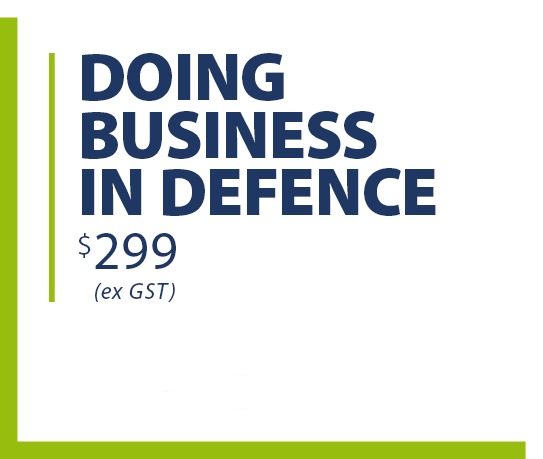 Doing Business in Defence is a highly focused and practical foundational course designed to give individuals and businesses from all backgrounds the essential insights they need to be more successful business winners in this critical economic market. Incorporating the latest insights from the First Principles Review, 2016 Defence White Paper, Defence Industry Policy Statement and Integrated Investment Plan, this eLearning course will directly assist those looking to enter or grow their presence in the Defence sector by providing them with “must know” information on the “What, Who and How” aspects of doing business in this challenging, yet rewarding industry. Through this eLearning course, small-to-medium sized businesses as well as larger industry organisation representatives can have full access of duMonde’s flagship Doing Business in Defence program, purposely built with interactive buttons, topic quizzes and practical exercises to fully engage online participants and to evaluate readiness in doing business with Government and Defence sectors.